In a study recently commissioned by Anthem, there's a growing movement around "integration" that's changing the landscape for employees and the benefits they can expect from their employer. 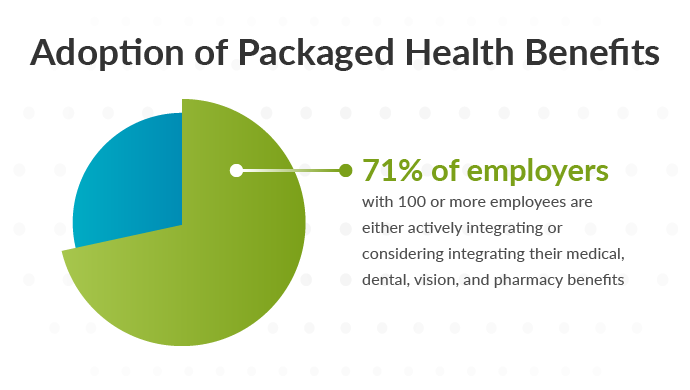 According to the study, 71% of employers with 100 or more employees are either actively integrating or considering integrating their medical, dental, vision, and pharmacy benefits under their health and wellness programs in the next five years. The study authors admit "employee benefits are often siloed." They also note medical, pharmacy, dental, vision, and other benefits are "offered through multiple carriers that often don’t interact." And the end results is always the same, a disjointed health narrative. Not to mention the sticker shock that will only continue to grow. But it's starting to shift, with the employee in mind. "In previous years, companies that integrated were generally focused on the financial potential. Now they’re turning to integration not just for savings, but for happier workers." When looking at recruitment, retention, and the bottom line, employers are seeing that integrated healthcare touches every area. And improves them. We've known about the power of integration for a long time. And we agree with the end goal of effective preventive strategies and care management. But is "integrating benefits" enough? Is it the magic bullet that's going to solve all of our healthcare woes — from administration migraines, to costs, to recruitment and retention? It's a start, but it's not nearly enough. What we need is an entirely different model. Like an on- or near-site clinic. 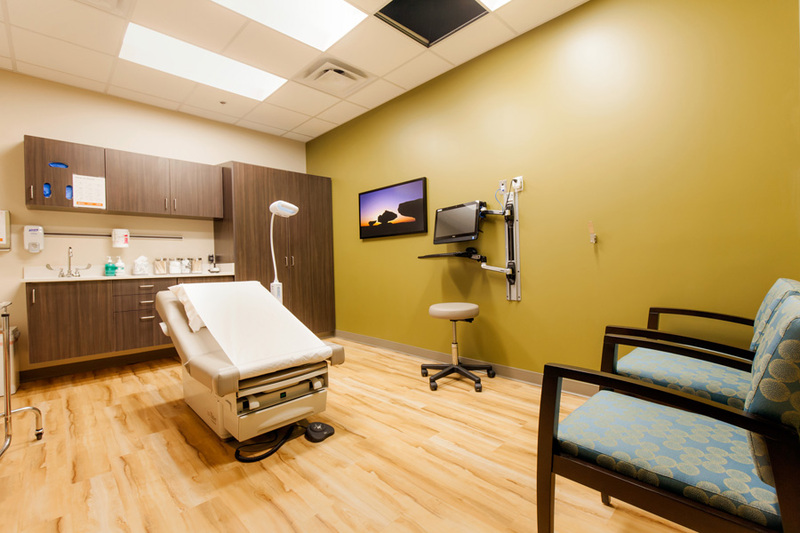 Placed at the center of your benefit strategy, an on-site clinic can offer a return on your investment and improve health, creating a sustainable answer for the never-ending question: is it possible to reduce costs and make people healthier at the same time? But an on-site clinic model also takes what we understand about the effective power of integration to its most logical, far-reaching conclusion by becoming the hub of all care and benefits for its patients. A dedicated care team, made up of a provider, medical staff, and health coach, develop a personalized care plan for each patient that addresses their physical, mental, and social health needs. When a patient’s needs extend beyond the clinic, the care team also manages referrals to high-quality, low-cost specialists. The team also handles follow-up treatments to ensure the best possible health outcomes. That's it. Effective, simple, and integrated. But more than that, we believe in the power of this model so fully, we even offer a guarantee. 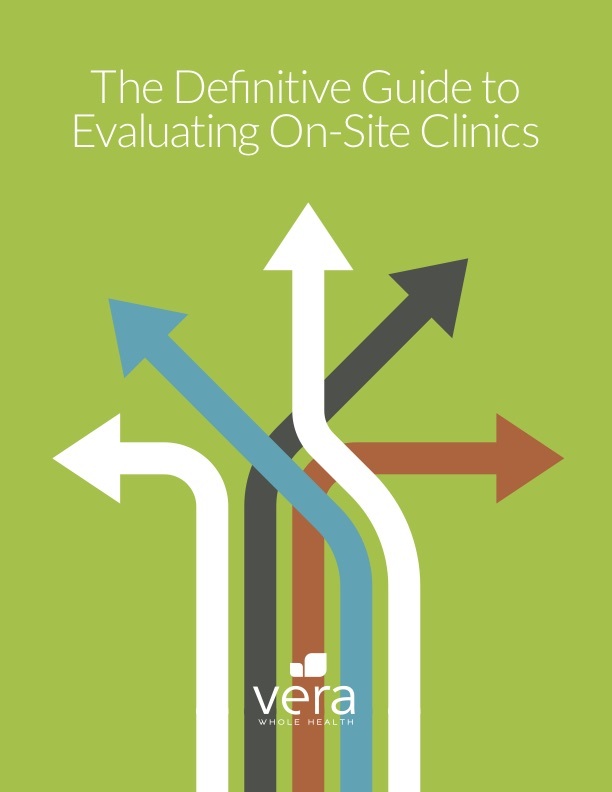 If you're interested in learning more, download our eBook: The Definitive Guide to Evaluating On-Site Clinics.